After our first well spend sightseeing night in Brussels, we got up early to drive towards Luxembourg. 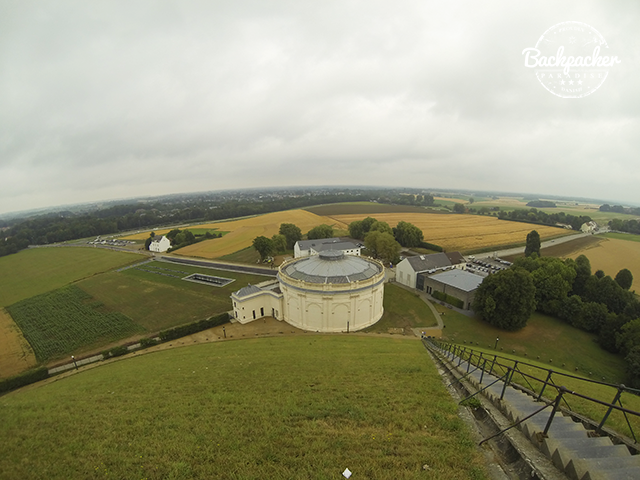 We decided to make a second stop in Belgium to visit the Battlefield of Waterloo, where Napoleon lost the war. 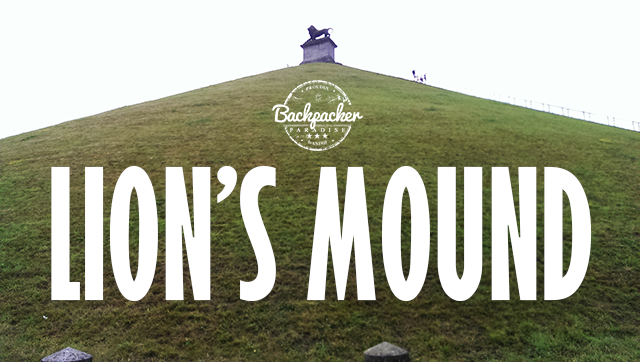 The ground are divided into three sections; the Museum, the Panorama and the Lion's Mound. The museum was completely new and very high-tech. Projectors, inter-active screens and animations made it very exciting and interesting to relive Napoleon's prime and downfall. 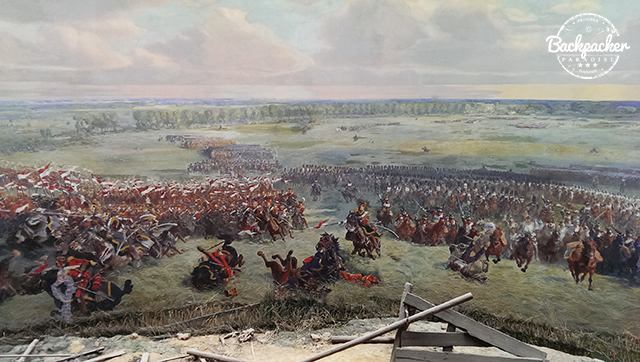 After a walk in the Museum, we entered the Panorama. Even though we just left the most high-tech museum I've ever visited, it was no match for what waited us in the Panorama. 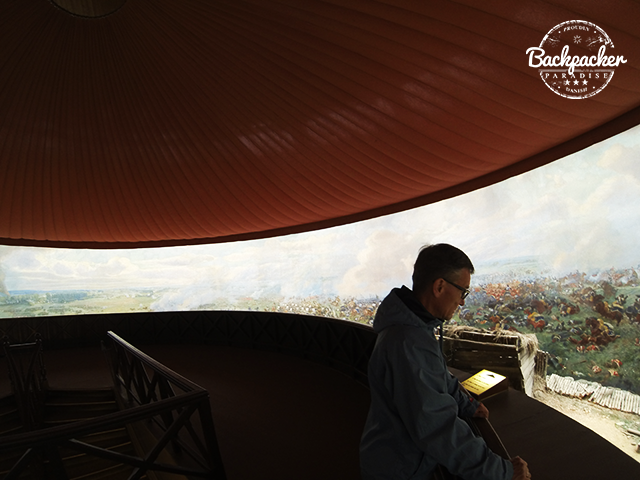 Located in a circular building is an old-styled 360 panorama painting which comes to life through amazing artwork and incredible light and sound effects. The time and effort put into this is unbelievable. Difficult to describe, impossible to explain. And a close-up of the artwork. We left the Panorama baffled by impressions, perhaps that's why the Lion's Mound, which was raised by the Dutch faded in comparison to what we just sucked in. Nonetheless the walk to the top provided a stunning view over landscape with the Panorama building at the foot of the hill.